As you can tell I haven't been up to much electronics tinkering lately. 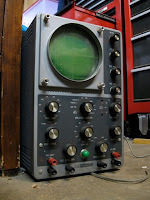 My efforts have all been focused on servicing old audio gear, like my friend's BIC 920 turntable, my TEAC A-7010 reel to reel deck, and so on. You think those are old? They're youngsters compared to the Fisher 400 receiver and Knight KG-250 amplifiers I recently acquired and plan to refurbish. 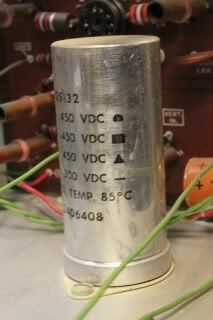 They use vacuum tubes (aka valves). 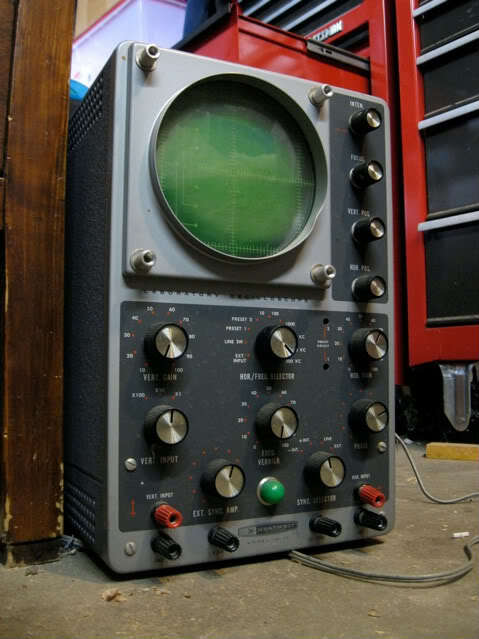 Before I dig into those beasties I want to practice on this old Heathkit IO-12 oscilloscope. Yeah, it uses tubes, too. It's simpler, more room to work inside, and so forth. 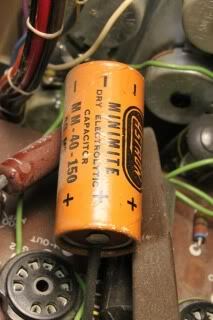 Part of the refurbish work involves replacing very old capacitors to avoid shorts, opens, and out-of-spec havoc. 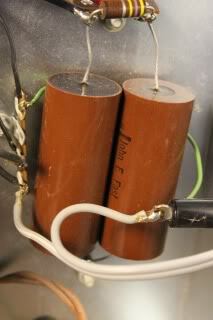 To find bad capacitors, I could use the ESR test harness I wrote about... I just have to build it first.